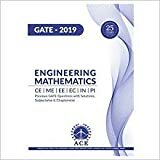 Q.1 – When will I receive my GATE 2019 Admit Card ? A.1 – Admit Card can ONLY be downloaded from the GOAPS website from 4th January 2019. Admit Cards will NOT be sent by post or as e-mail attachment. 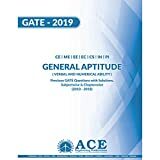 Q.2 – Is GATE 2019 Admit Card alone sufficient to gain entry to the examination centre ? A.2 – NO. Candidates must bring a print-out of the downloaded Admit Card to the Examination for the verification along with the original and valid photo Identity Document (NO photocopy/scanned copy/NOT an expired document), which was specified during the filling up of the online application. For Indian candidates, only following identification cards will be accepted: Passport, PAN card, Voter ID, Aadhaar-UID, College ID, Employee ID and Driving License. For International candidates, ONLY a valid Passport/Government issued ID/College ID/Employee ID will be accepted as the recognized identification. The Admit Card is valid if and ONLY if the candidate’s photograph and signature images are clear and legible. The photograph on the Admit Card and that in the valid photo identity document should match with the appearance of the candidate on the day of examination. Q.3 – Can I bring soft copy of GATE 2019 Admit Card (in mobile phone/tablet/laptop) to gain entry to the examination centre ? A.3 – NO. Hard copy (printed in color) of the Admit Card must be brought to the examination centre along with at least one original (not photocopied/scanned copy) and valid (not expired) Identity Document (ID), which was specified during the filling up of the online application.